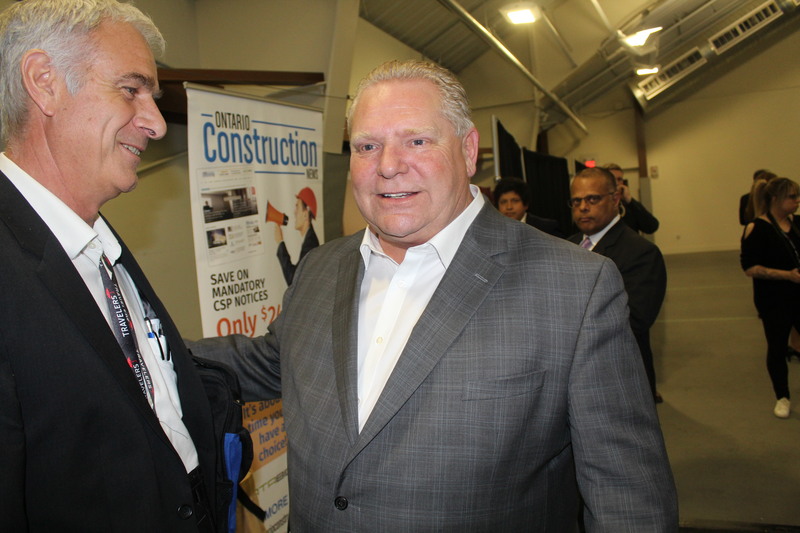 Premier Doug Ford greets Frank Snyder of Snyder Construction in Ashburn Ontario. 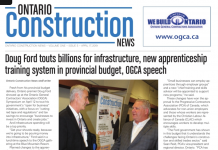 “Get your shovels ready, because we’re going to be pouring money into infrastructure,” Ford said in a lunchtime speech to the OGCA gathering at the Blue Mountain Resort. 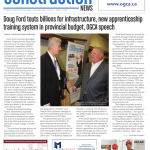 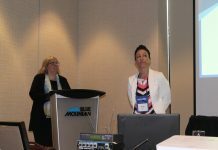 Planned changes to the apprenticeship system, which will allow for more flexible training and certification in a full trade or in a portable skill set, drew mixed reactions, including observations from OGCA government relations director David Frame that he needs to study the actual budget legislation (Section 40) very closely to understand the implementation and details of the proposed new training model. 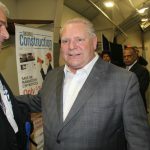 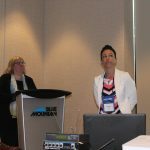 These changes have won the approval fo the Progressive Contractors Association (PCA) of Canada, which advocates for non-union employers and those whose workers are represented by the Christian Labour Alliance of Canada (CLAC) which encourages workers to develop multiple skills. Among allocations are $28.5 billion for transit in Toronto, including a new 15-km. 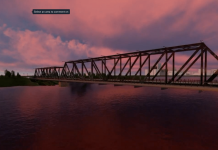 Ontario Line, replacing an originally planned much shorter TTC relief line.